FANBOY PLANET.com . : mc-disney-mechanical-kingdoms :. 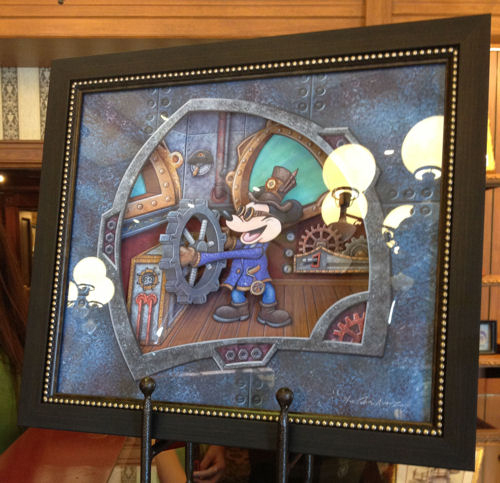 It may seem that Disney is jumping on the steampunk bandwagon with its latest "style," now on display in the Disneyana Gallery at both Disneyland and Disneyworld. But we must step back and remember that Disney did quite a bit to popularize Jules Verne with the studio's adaptation of 20,000 Leagues Under the Sea back in 1954. 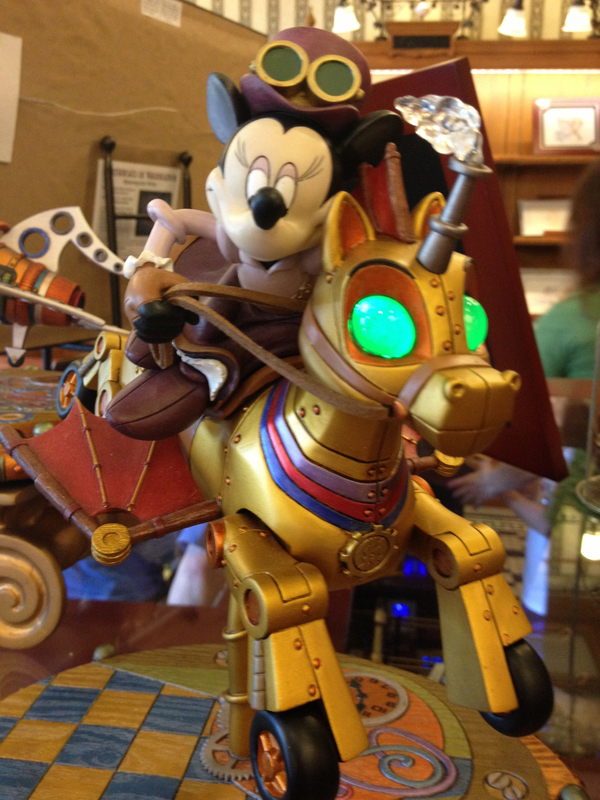 Be that as it may, the point is that Disney was steampunk before steampunk was cool. And now they look like bandwagon jumpers. Granted, they limited it to what was always such, and now -- it's infecting the Mouse. 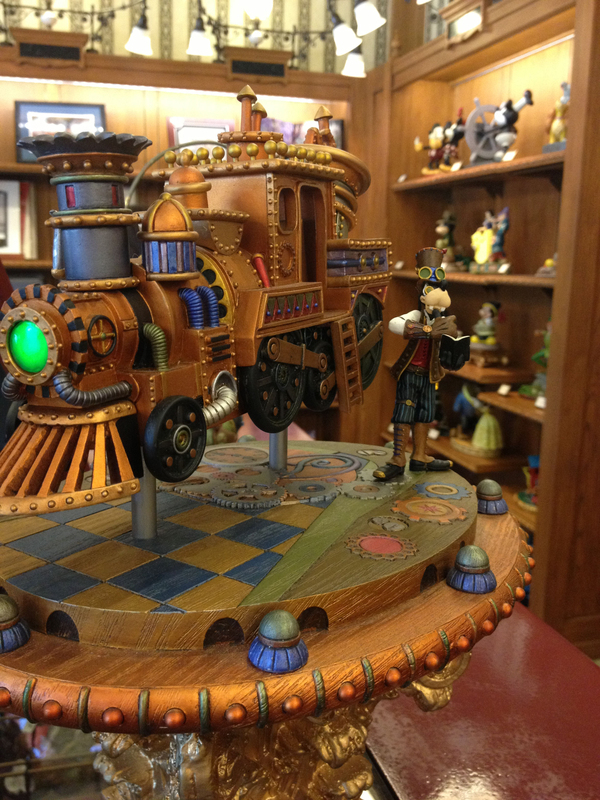 It started a few months ago with a pin set and mouse ear Christmas ornament, but has since become an inspiration to Disney's artists to start playing, painting and sculpting. 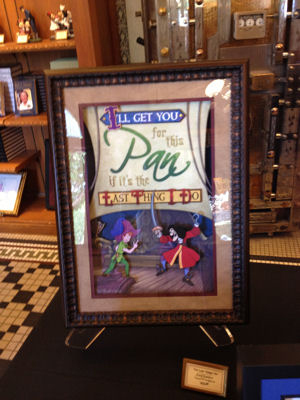 The results are currently on display in both parks and -- for those with more than a little in the way of Duckbucks -- on sale so that they can be on display in your home or private Disney shrine. The gallery features a variety of concept paintings and sketches, especially in the room that leads directly to "Great Moments With Mr. Lincoln." 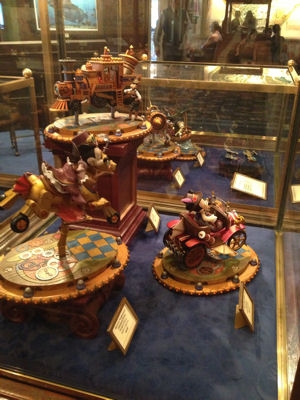 There the emphasis lies on the Verne touch and how it influenced actual rides. But what if its influence had gone into other rides? 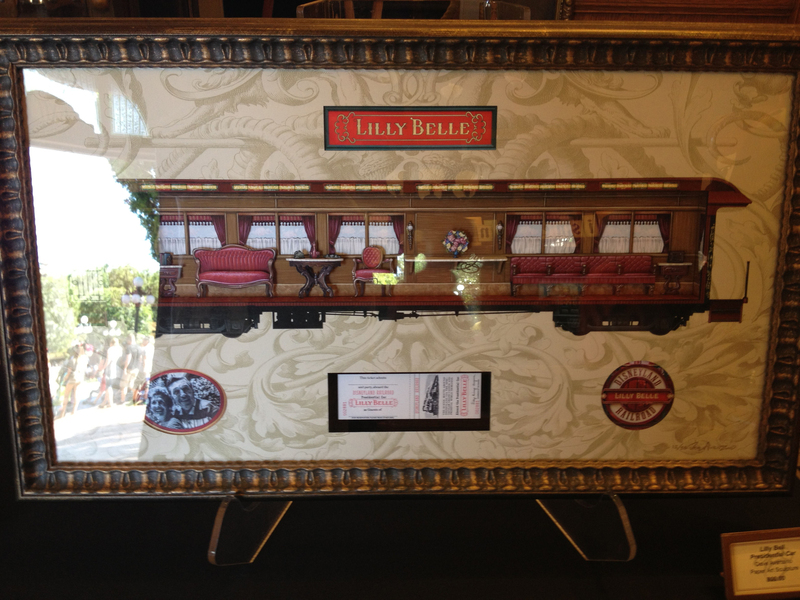 The cushions would have been plush. 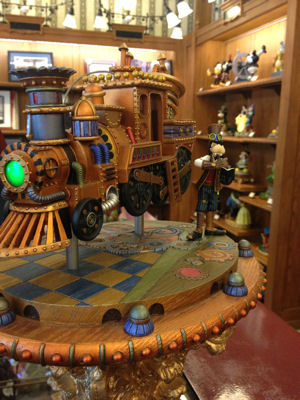 Where the collectors are going to go crazy -- and where fans of steampunk will collide with them -- is not just on the visions of Mickey and friends tinkering with their amazing flying/rolling machines and trains, but just how some of the artists have been inspired. 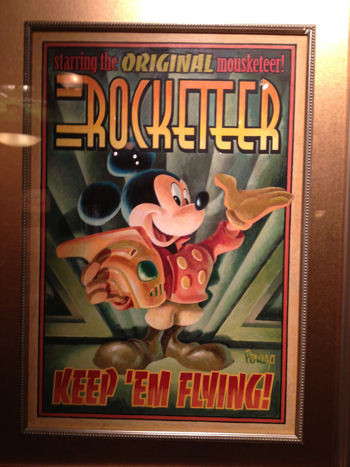 First of all, the obvious crossover of envisioning The Rocketeer as played by Mickey Mouse. As readers of Fanboy Planet and listeners of the podcast know, we consider The Rocketeer to be an overlooked gem. Directed by Joe Johnston, the same man responsible for the brilliant Captain America: The First Avenger, the earlier film could have and should have changed everything about the comic book adaptation craze years ahead of its time. 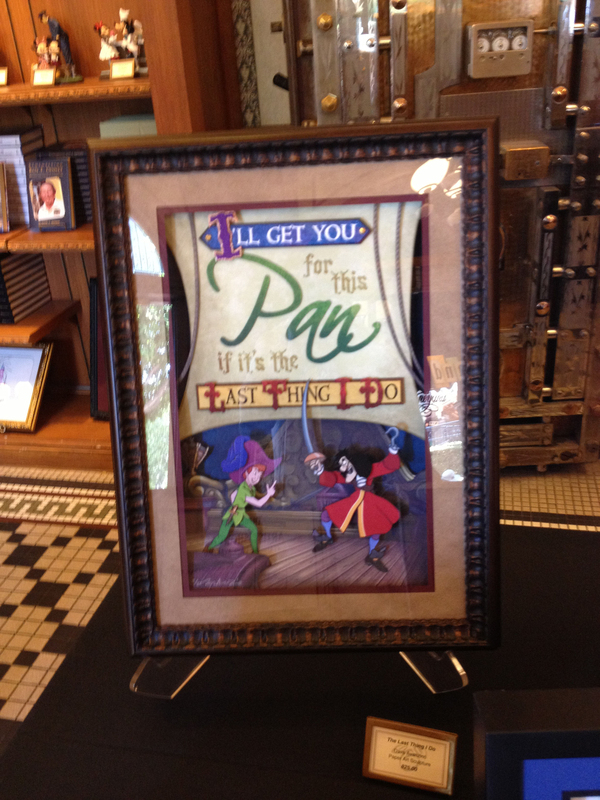 But the administration at the time bobbled the marketing. Yet walk through Tomorrowland. When you pay attention to the music piping through, especially in the early morning, they're playing the inspirational theme from The Rocketeer. Go to buy popcorn, and the Rocketeer is stirring the kernels. So he's key, and definitely within the steampunk genre. But let's just let it all speak for itself. Some of these products are likely available online, but on a hot day in the park, it's best to just wander into the air-conditioned galleries and take a look for yourself.